The Jamaican curry goat Recipe will be top of the list If you ask for a popular dish to anyone from Jamaica. Almost every Jamaican love this Jamaican Curry GoatDish. Although goat meat is very popular in Asia. and Nowadays it becomes popular among the English speaking Caribbean people in the United States and Great Britain where Jamaican or Caribbean community people are living. 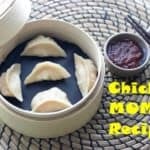 Due to its spiciness, this recipe is popular in Asian countries also. Caribbean Curry goat is similar to the Lamb or Mutton curry dish which was invented in India, South Asia. 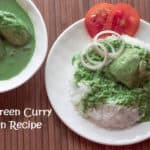 This dish becomes very popular among Caribbean people by the Indian Cusine Influence. This dish is Popular among the Caribbeans as Indo-Caribbean cuisine in North America and Great Britain. Is there is any difference between Goat Meat and Lamb Meat? Goat meat is not Popular between people of USA and UK. Though the taste of Lamb is similar to Goat meat. But Goat meat is much healthier than Lamb Meat. Lamb meat looks pale pink, while Goat meat is reddish in colour than Lamb Meat. And Lamb meat is fattier than Goat meat. So Goat Meat has less cholesterol in it. And the flavour of Goat meat is much Mild than Lamb Meat. So Goat meat and Lamb Meat Both are not the same. Is Goat meat and Indian Mutton Meat is same? The meat of an adult Goat/Sheep is called as Mutton Meat. Young goat meat called in many names like chevon and cabrito or capretto.Lamb meat and Mutton meat both are not same. Because both are from different species but can say close to similar but not the same. 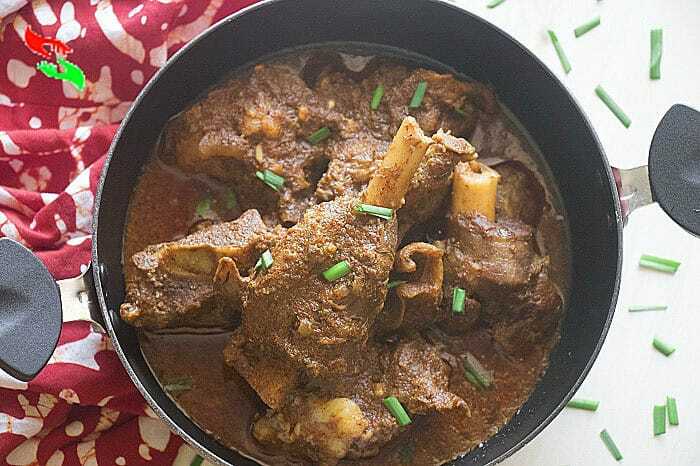 Goat meat is Popular in most of the western countries As “Goat Meat”.While “Mutton Meat “is most Popular in South Asian countries like India as “Mutton Meat”. What is the Best part of the Meat To make Best Lamb/Goat/Mutton Curry? Shoulder part of the animal is full of flavour. So it is the best meat portion to make a great curry dish. Always buy Lamb/Goat/Mutton meat with Bones. Because with bone meat will give a great flavour and taste to your curry dish. Indian Meat curry and Jamaican Curry Goat Dish are Both tastes same? Jamaican curry goat recipe is influenced by Indian spicy Lamb or Mutton curry dish. But Indian meat curry dish has many variations. In India, different region and community have their curry recipes. Some of them are very spicy and Hot, where some are less spicy and very mild. But all taste delicious. All meat curry dish is quite thick in consistency. On the other hand, Jamaican curry goat is spicy but not like Indian goat curry dish. But Jamaican curry dish is less Thicker than Indian meat curry and less spicy. Jamaican goat curry gets spiciness only from the Scotch Bonnet peppers. But This is totally up to you how much Scotch Bonnet peppers you are using to get spiciness. This Caribbean dish is made less spicer than any Indian meat curry dish. Jamaican curry dish tastes like sweet and spicy but not hot. 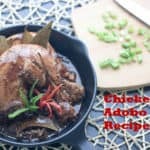 What is The CURRY and Why am I making this Jamaican curry Goat dish? “CURRY” is not like as some people say it a stew which made with the only CURRY LEAVES, But it’s totally wrong. Curry is a STEW; any kind of Stew. It can be made with vegetables or with meat. Sometimes curry is thick or some time curry consistency can be thin. The consistency of the Curry/Stew depends on the food culture and weather. As an Indian, I make curry stew almost every day with different ingredients. 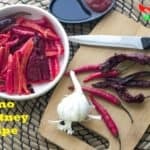 Spices for the dish Jamaican curry goat are easily available almost in every Indian kitchen and goat meat in India also easily available in the market. So decided to make this curry dish In my kitchen. As Jamaican and Indian goat curry both taste similar. It is becoming favourites of my family. It’s not spicy so my kid also can enjoy this. Hope once you will try this Delicious Jamaican curry goat Dish in your own kitchen, your family and kids will love this too. Take a big soup pot. Make the pot heat enough and put oil into it and sear all the goat meat. Remove the sear goat meat from the pot and keep it in another bowl. Now fry onions and tomatoes in the rest of the oil in the same pot. Fry onions and tomatoes for 5 minutes over the low to medium heat. Just after 5 Minutes add chopped garlic and all the ground dry spices to the pot and also add 1 or 2 tsp of hot water to the pot. Mix well all the ingredients very well and fry for 5 to 7 minutes. After 5 or 7 minutes add goat meat to the pot and add Fresh Thyme herb, Scotch Bonnet pepper and sugar, chopped scallions and rest of the hot water. Do not add salt to the Goat meat in this stage.If you add salt then Goat will be not soft properly after cooking. Now cover the pot with a lid and cook for 45 Minutes over the very low flame. After 5 minutes remove the lid from the pot. And now add salt to the pot.mix well and cook for another 2-3 minutes over the same flame. After 2-3 Minutes trun off the flame and place the jamican Goat curry dish to a serving bowl. Sprinkle the Finely chopped scallions from the top of the dish. And serve Jamaican Curry Goat dish with white plain steam Rice.